In May 2003, Mehmooda Duke set up Moosa-Duke Solicitors. Mehmooda has over 25 years of experience in dealing with medical negligence claims and is the firm’s CEO. 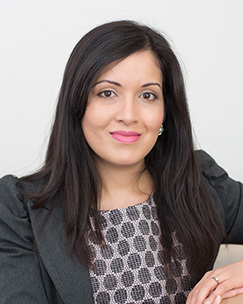 The first 10 years of her medical negligence career were spent defending the NHS and GPs and, therefore, Mehmooda has an invaluable and extensive knowledge of how claims are defended by the NHS and GPs. After graduating from Cambridge, Mehmooda started her career as a school teacher. However, after a year, she retrained as a lawyer and started her legal career in London in 1992. She was a trainee at Hempsons Solicitors, moved to Capsticks Solicitors and was headhunted by Browne Jacobson LLP, all leading firms who defend the NHS. Mehmooda was also head of the Legal Department at a large hospital Trust for 2 years and spent a year representing GPs covered by the Medical Defence Union. Mehmooda has extensive experience in dealing with medical negligence claims. She has dealt with complex multi million pound claims involving babies and children who have suffered brain injury, high value claims where there has been misdiagnosis of Cauda Equina Syndrome and Cervical Cancer, and many more. This is just a sample of the work that she has done. Mehmooda is on the Law Society’s Clinical Negligence Panel which recognises that she is a specialist in the field. Mehmooda is accredited as a senior litigator with APIL – the Association of Personal Injury Lawyers. She has been described on Chambers UK Website as a “Notable Practitioner” and praised for her diligent and forensic” analysis. 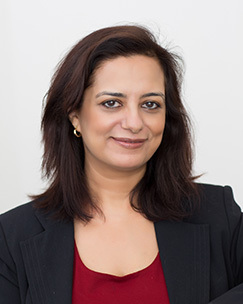 From May 2015, Mehmooda was President of Leicestershire Law Society (LLS) for a 12-month term; the first Asian female to hold this prestigious position. LLS is an active and vibrant organisation which supports the local legal profession and promotes the region as a centre of legal excellence. In this role, she was the public face of the organisation and steered the strategic direction of the Society . She is now the Chair of LLS. 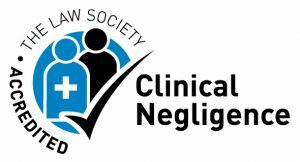 Mehmooda was a founding Executive Board Member SCIL (Society of Clinical Injury Lawyers) representing Clinical Negligence lawyers Nationally for 5 years until January 2018. 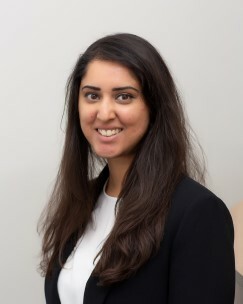 Mehmooda is now on SCIL’s Public Affairs Group and is involved in National level discussions with key stakeholders in respect of changes which affect the National landscape for Clinical Negligence lawyers. Mehmooda is a Board Advisor to the Leicestershire County Cricket Club and sits on Council for the University of Leicester. She is on the Steering Committee of Women in Philanthropy and for 2 years has presented on Radio Ramadan Leicester a programme focussed on the empowerment of women and girls – ‘ Leading Ladies’. In June 2017 Mehmooda was honoured by being commissioned as a Deputy Lieutenant for Leicestershire. Mehmooda enjoys running and walking. Over the last 5 years she has organised charity walks for local lawyers and business people raising over £80,000 for a number of charities including Cancer Research, The Rik Basra Leukaemia Foundation, Cauda Equina Syndrome UK and The Maria Hanson Foundation. The challenge for 2018 was to climb Kilimanjaro for Healing Little Hearts, a charity which provides life-saving surgery to babies and children in the developing world. If you wish to sponsor, please see click here. A video of the trip is below. In December 2018, Mehmooda was on the 2019 New Year Honour’s List and was awarded an MBE for her services to the legal profession and female entrepreneurship. Mehmooda also likes reading, cooking, and going to the theatre in her spare time. Sarah joined MDS in 2018. She qualified in 1995 and began her career representing trade union members in Personal Injury claims for national firm Simpson Millar LLP. 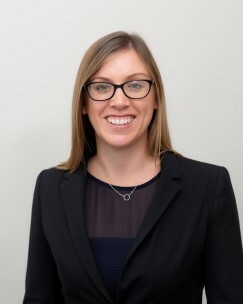 Sarah became a partner in 2001 and was head of firm’s PI department in Leeds between 2006 and 2008.Sarah has dealt with many high value claims having specialised in asbestos-related litigation, serious and catastrophic injury before moving in to clinical negligence in 2009. Sarah has a wealth of experience of handling complex cases and has pursued litigation as far as the Court of Appeal to secure a successful outcome. Sarah prides herself in being a people person and providing clients with support during what can be a very difficult time. Sarah has a young family. In her limited free time she likes to go running, swimming and hill walking and enjoys camping holidays and travel. Krishna joined the firm in 2006. After qualifying, Krishna joined Thompsons Solicitors, a national Trade Union Practice, where she represented Claimants in personal injury cases. She became a Partner and remained with the firm for several years during which she dealt with and supervised a large volume of cases involving serious injuries acquired in the work place. 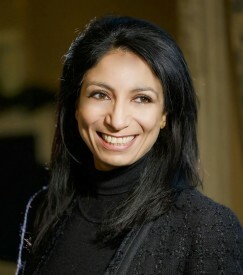 Krishna subsequently joined Browne Jacobson LLP, a leading Midlands firm, where she defended Hospital Trusts in claims for Clinical Negligence. She was involved in the defence of a multi-party action (involving more than 300 Claimants) as well as a variety of multi-million pound claims arising out of negligent medical treatment. Krishna now acts exclusively for victims of Clinical Negligence. She has considerable experience of high value and complex cases. Her current case load includes claims for wrongful birth, brain injuries, delay in the diagnosis of cancer and negligent treatment resulting in death. In Chambers UK, Krishna is described as a “Notable Practitioner” and “extremely assiduous and diligent” and is highlighted as having a “lovely manner with clients. Krishna is a member of the Main Committee of Leicestershire Law Society and former Chair of the Society’s Litigation Sub Board. Away from work, Krishna enjoys going to the theatre, reading and cooking. Daniel returned to his home town of Leicester when he joined Moosa-Duke in March 2015 as a Senior Solicitor. He undertook his training contract with Campbell Courtney and Cooney Solicitors, a niche personal injury firm, based in Surrey. On qualification he joined Henmans (now Henmans Freeth) assisting the Head of Clinical Negligence. 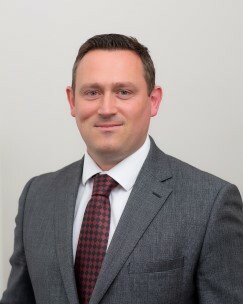 In 2008 Daniel joined Russell-Cooke LLP, working in their personal injury and clinical negligence department. Daniel ran his own multi-track case load and additionally assisted the partners on high value cases. Daniel succeeded in gaining compensation for clients in complex and sometimes high profile cases. Daniel has always been a keen supporter of his local Citizen’s Advice Bureau and an active member of his local law society. Daniel is a member of APIL (the Association of Personal Injury Lawyers) and he is secretary to the Product liability special interest group. Daniel has a young family, which keeps him very busy. He is a keen sportsman and is delighted he will get to see more of the Leicester Tigers rugby team, now that he is back in Leicester. Navdeep joined MDS in 2015 as a Solicitor. 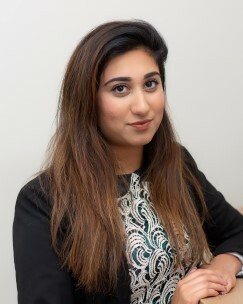 Navdeep undertook her legal training with Harvey Ingram (now Shakespeares Martineau) and qualified in 2010 as a Solicitor. 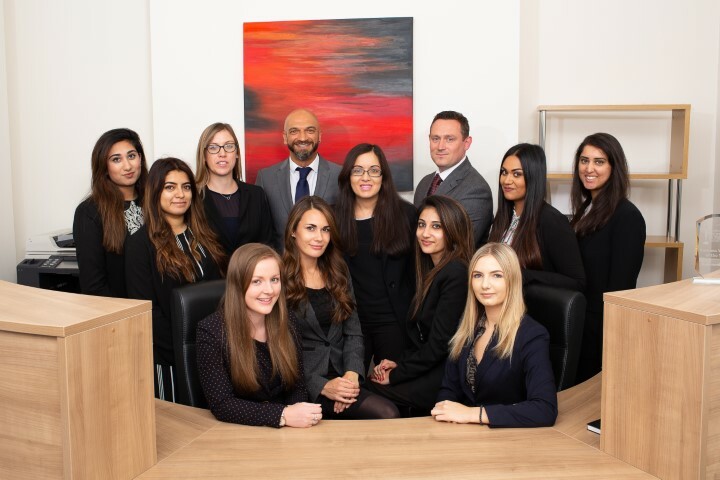 Upon qualification, Navdeep stayed on at Harvey Ingram and co-worked with a senior solicitor on high value clinical negligence cases, as well as running her own clinical negligence caseload. Navdeep was drawn to clinical negligence as she finds this area of law fascinating and challenging. Navdeep finds medicine interesting and enjoys the challenge of deciphering medical records and analysing complex issues to fight her clients cases. Navdeep is compassionate, understanding and highly personable in nature. She enjoys helping her clients though often difficult circumstances to achieve settlements and conclude claims positively. Navdeep has experience in advising clients who have suffered gynaecological injuries, amputations and delays in treating Cauda Equina Syndrome. Navdeep enjoys the diversity of work that the area of clinical negligence provides. Navdeep co-works with Mehmooda on high value clinical negligence cases; they have worked together to secure high settlements for their clients. In her spare time, Navdeep enjoys sampling different cuisines, travel and spending time with her family. 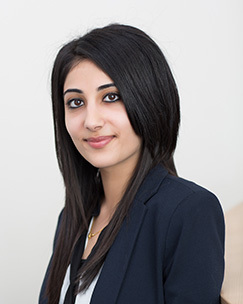 Gemma joined Moosa-Duke Solicitors in September 2015. She carried out her training contract with Ringrose Law in Lincoln and came to Moosa-Duke when she qualified. Gemma went to Nottingham Trent University and obtained First Class Honours in a Forensic Science degree. She worked for the Police while studying further, and gained Distinctions in the Graduate Diploma in Law and Legal Practice Course. Her previous work with the Police has given her invaluable experience of working with a diverse range of people and she strives to get the best possible outcome for all of her clients. In her spare time Gemma enjoys yoga, swimming, walking and using the gym. When she’s not exercising she can usually be found with a book from her ever increasing collection, or watching films with her friends. Gemma completed her Law degree in 2013 following which she worked as a paralegal at Plexus Law and thereafter a fee earner at Shakespeare’s where she gained some useful experience in litigation. Gemma then joined Moosa-Duke Solicitors in 2014. Gemma went on to complete her Legal Practice Course (LPC) in September 2014 on a part time basis whilst working full time at Moosa-Duke Solicitors. Gemma successfully completed the LPC in the summer of 2016 and commenced her training contract at Moosa-Duke Solicitors in November 2016. Gemma assists the CEO and another senior solicitor with complex clinical negligence cases. On qualification, Gemma wants to specialise in clinical negligence. 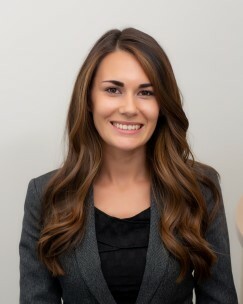 Gemma has accepted a position as an Assistant Solicitor at Moosa-Duke Solicitors on qualification, and is excited to continue building on her knowledge in this legal field. In her spare time, Gemma enjoys travelling the world to very exotic destinations. Francesca joined Moosa-Duke Solicitors in May 2016. She completed her Law degree in 2014 before beginning her Legal Practice Course (LPC) in September 2015. She attended on a part time basis whilst working full time. Francesca successfully completed the LPC in 2017 and will commence her training contract at Moosa-Duke Solicitors in December 2018. Francesca assists a Senior Solicitor with complex clinical negligence cases and has gained vast legal and medical knowledge. Kirsty originally joined Moosa-Duke Solicitors in June 2016 as a Paralegal having completed the Graduate Diploma in Law at Nottingham Trent University. Kirsty worked with Krishna one of the senior solicitors for 14 months before returning to university in September 2017 to complete the Legal Practice Course (LPC) on a full time basis. Having completed the LPC Kirsty returned to the firm in June 2018 to work with Krishna. 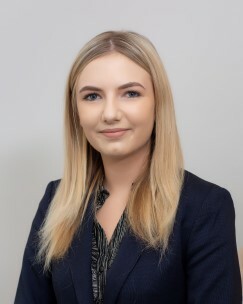 Kirsty’s training contract starts in June 2019 and upon qualification Kirsty wants to specialise in clinical negligence. In her spare time Kirsty enjoys walking her two beagles, attending a weekly zumba class and trying new places to go out for food. Meera completed her law degree in 2014 at Nottingham Trent University. Thereafter, she worked as a Paralegal for Irwin Mitchell Solicitors within the Medical Negligence department. She independently ran the new client enquiries process for over 50 fee earners as well as assisting with progression of cases. She has gained an insight on different types of complex clinical negligence claims. 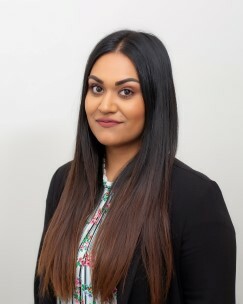 Meera joined Moosa-Duke Solicitors in February 2018 as a Paralegal. She assists a Solicitor on a variety of clinical negligence claims and wishes to pursue a career as a clinical negligence Solicitor. In her spare time, she enjoys going to the gym, travelling and is a massive foodie. 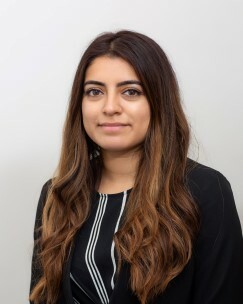 Priya graduated with an LLB (Hons) degree and is currently studying the LPC with masters, at the University of Law Birmingham, whilst working full time at the firm. She has finished her first year on a distinction and will graduate in 2019. Priya joined MDS in November 2017 as a paralegal after gaining an interest in clinical negligence from her undergraduate degree. She assists a senior solicitor on a variety of complex clinical negligence cases and feels that she has gained a wealth of valuable knowledge and experience within such a short time at the firm. In her free time, Priya likes to socialise with friends and family. Ayesha graduated with an LLB (Hons) degree and went on to work as a paralegal for 7 fee earners at Silverbeck Rymer Solicitors (Now Slater + Gordon). With a view to pursue a career in Clinical Negligence, she then gained valuable experience in a GP surgery, working within their admin department and dealing with patients’ complaints. Ayesha completed the Legal Practice Course while working as a Legalisation Assistant at a Notary in London and joined Moosa Duke Solicitors in May 2018. Ayesha loves to travel within the country and abroad and is currently learning to paint and do calligraphy. Priyanka joined Moosa Duke Solicitors in August 2017 as a paralegal. Priyanka assists the CEO and another Senior Solicitor on clinical negligence cases. From September 2018, Priyanka will be undertaking the Legal Practice Course and a masters in law full time, while working at the firm part time. After qualifying, Priyanka would like to specialise in clinical negligence. Priyanka enjoys traveling, playing Netball and going to the gym. 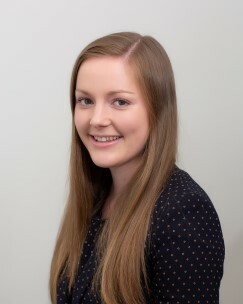 Charlotte joined Moosa-Duke solicitors in June 2018 as a Paralegal after completing her Law degree in May 2018 at the University of Lincoln. Charlotte intends to complete her Legal Practice Course (LPC) in the future and aspires to become a successful solicitor. In her free time Charlotte enjoys spa days, travelling and baking cakes.